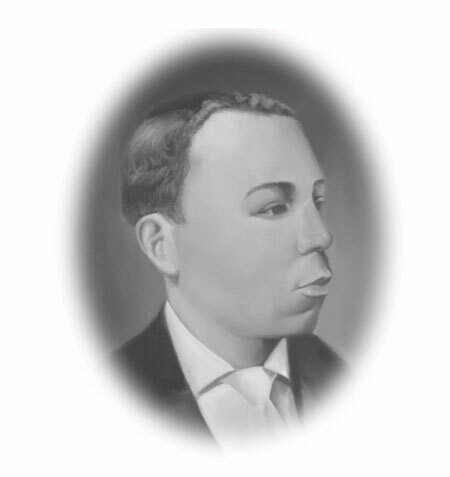 When it comes to spectator sports, horse racing is the second most widely attended in the US. 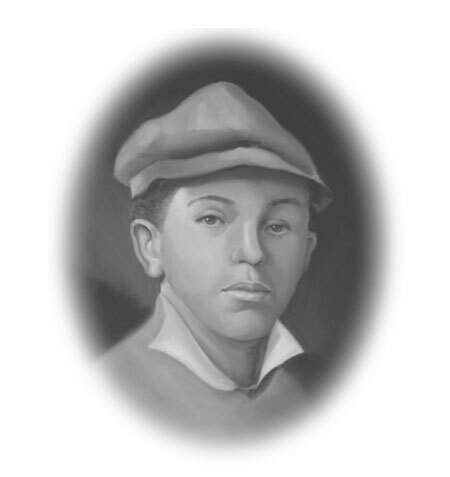 The world-famous annual Kentucky Derby draws well over 150,000 fans. 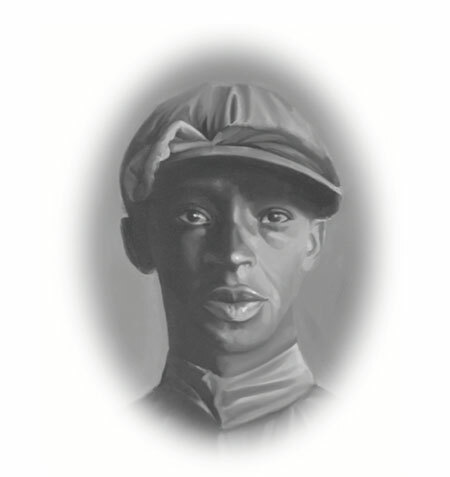 Though names like Secretariat may ring a bell for many, few are aware that African-Americans dominated the sport for many years. 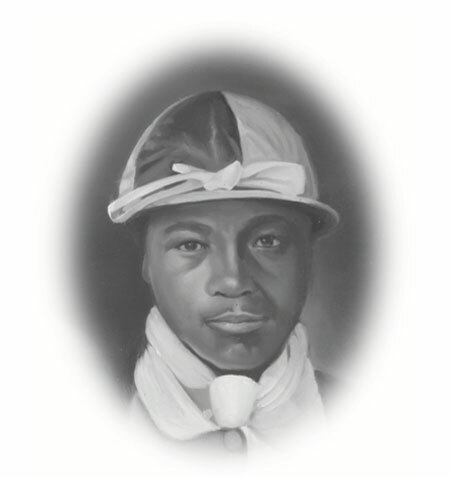 At the inaugural Kentucky Derby, for example, 13 of the 15 jockeys were black. 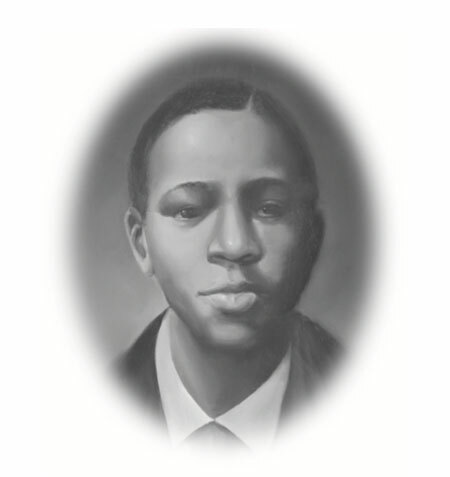 On that historical day, African-American Oliver Lewis (on colt Aristides) was the first to cross the finish line. 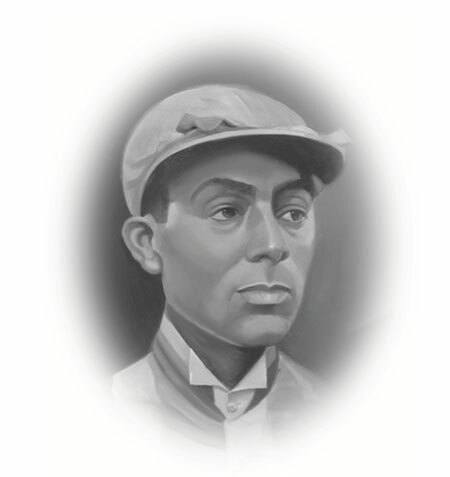 James Winkfield had an astonishing career, winning hundreds of races both in America and Europe; Isaac Murphy is considered one of the greatest race riders in American history. 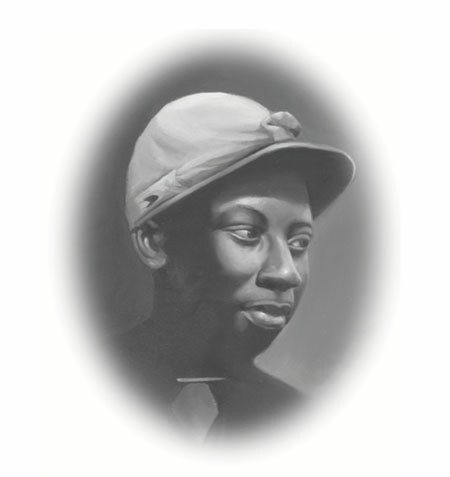 And there are many others, winning races across the country, including classics like Belmont and Preakness Stakes. 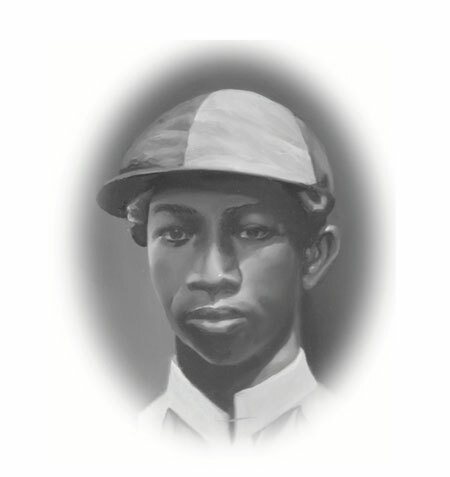 Sadly, however, these jockeys are often overlooked or just plain forgotten. 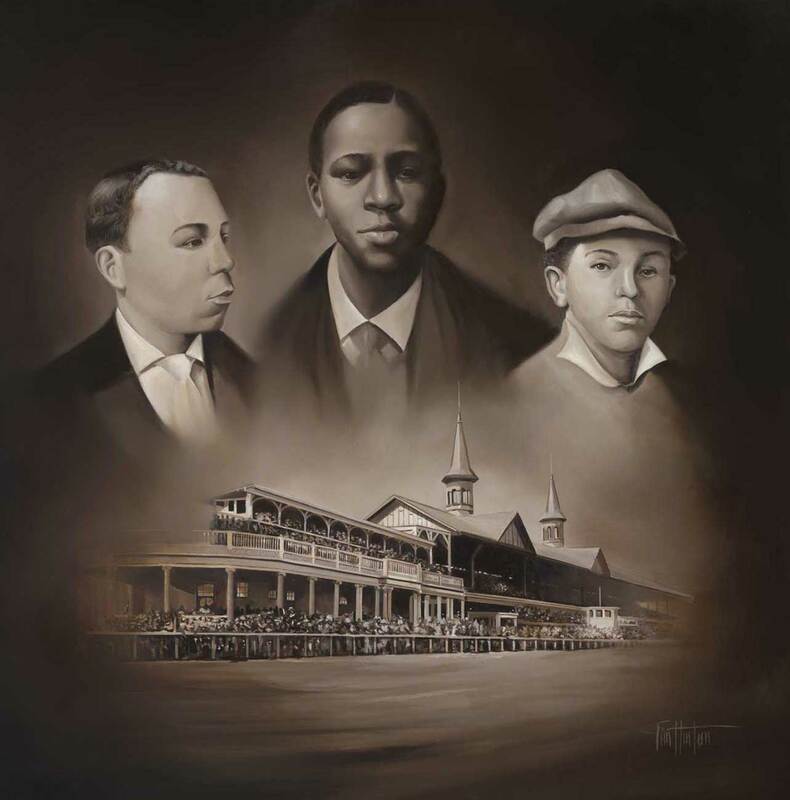 For this reason, Tim Hinton has created an artistic tribute to these sports history legends. 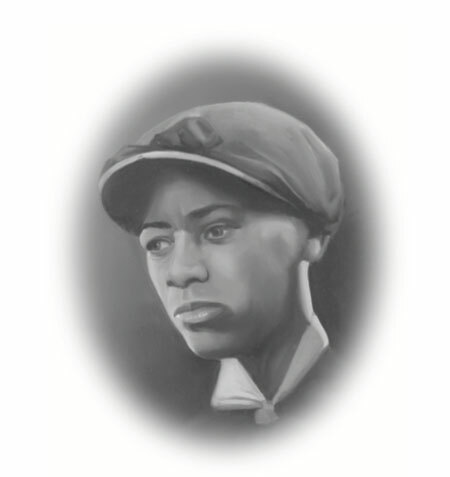 The Legends: A Tribute to Historical Black Jockeys© is a series of paintings that powerfully captures nine of these racing greats. 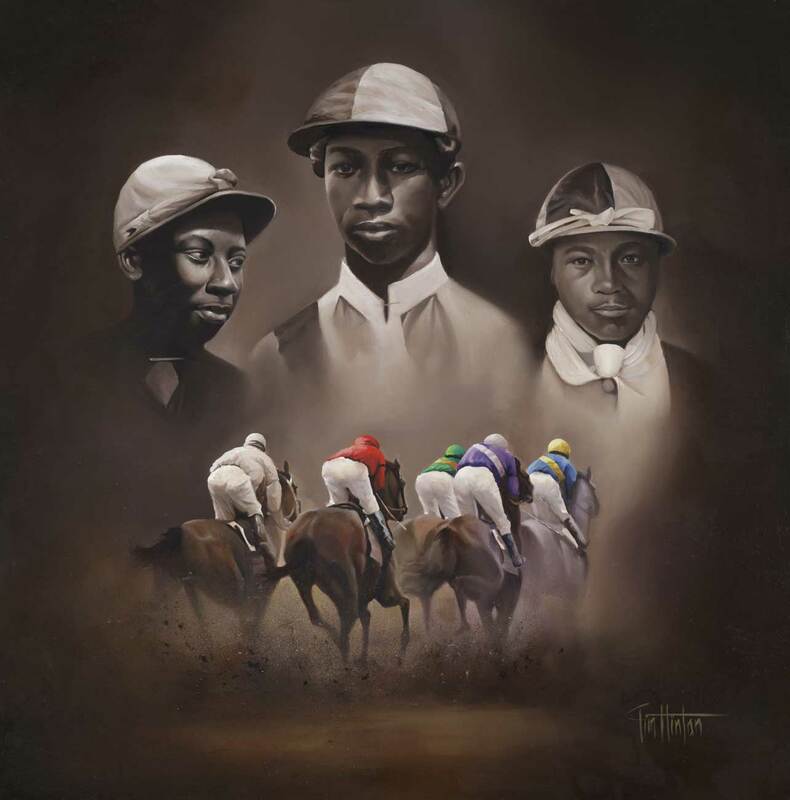 This stunning collection of life-like images will help ensure that these jockeys are honored for generations to come. 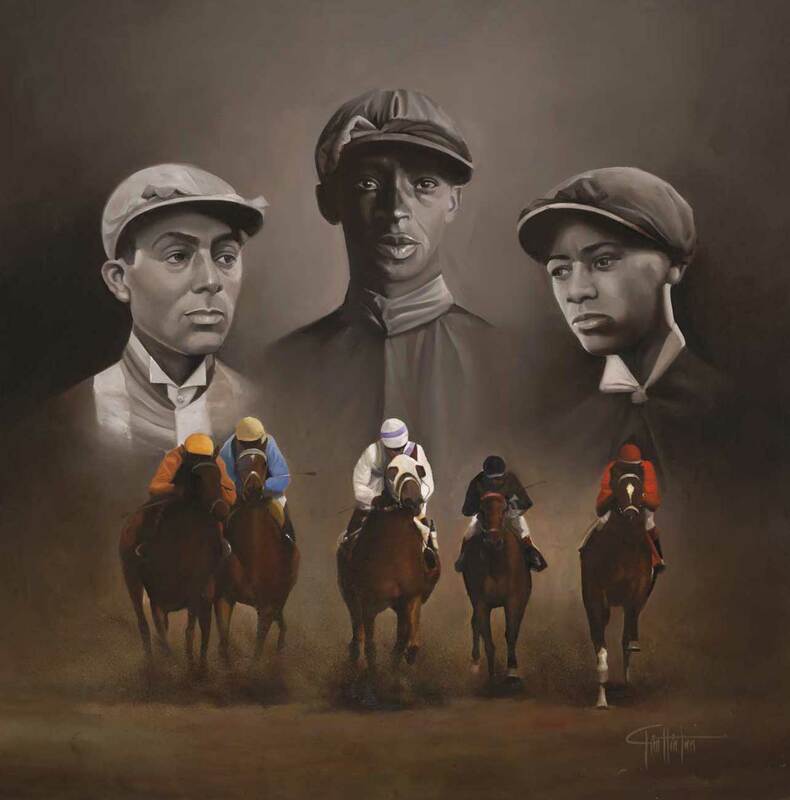 Giclée prints of the three paintings are available as a set which includes short bios for each of the jockeys – perfect for schools, museums, cultural centers and libraries.